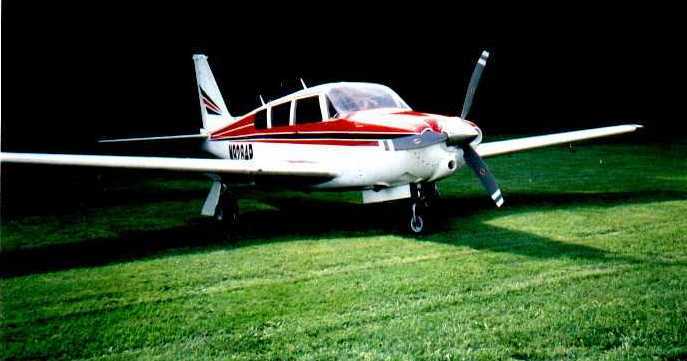 was built by Piper Aircraft in Lock Haven, Pennsylvania in 1968. It is a model PA-24-260 B. It cruises at 200 miles per hour and seats six people. In 1995 it was outfitted with a complete set of speed modifications from LoPresti Speed Merchants including a new cowl and specially-designed propeller. In 2007 it received a zero-time engine and new paint. Max gross weight 3100 lbs. Avionics: King KX-155 NAV/COMM, Apollo SL60 IFR-certified GPS/COMM, Piper Autocontrol II autopilot, JPI 6-cylinder engine monitor. A 1/2 share partnership in this airplane is available. The plane is based at Bridgeport (BDR). The International Comanche Society is a source for information on these excellent high-performance planes. Their web site contains a complete history of the different Comanche models.